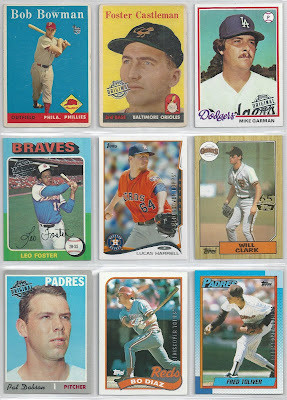 Shoebox Legends: Buyback Franken-set: Kin Completes a Page! Today's buybacks arrived in the mail as a complete surprise to me. They're from Kin, who blogs over at I Feel Like a Collector Again. 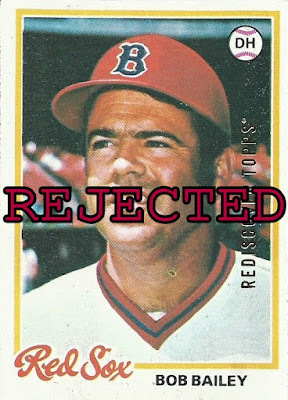 Kin's had some truly impressive buyback lot pick-ups of his own lately that have made me green with envy, and apparently he's such a nice guy that he just randomly decided to send some of his spoils my way for my franken-set project! How awesome is that? Kin obviously checked my franken-set spreadsheet before sending these my way, because as you'll see nearly all of the cards he sent along were new numbers for the project! 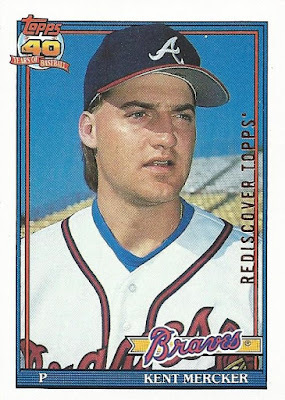 Some nice high numbers too, like this 1991 Kent Mercker. Kent was a regular for the Braves out of the bullpen in 1991, appearing in 50 games. 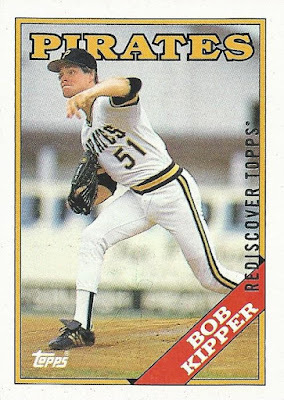 Another new number here, and another 700+ card for the franken-set. 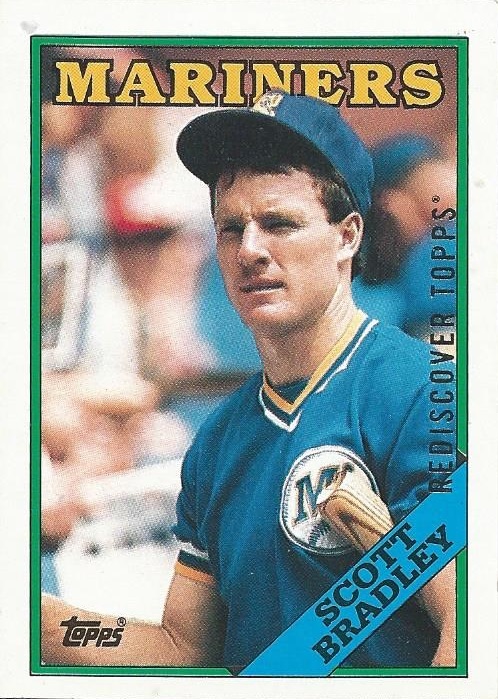 Scott Bradley swatted around .250 in just over 100 games for the Mariners in 1988, primarily as a catcher. Looks like he was signing autographs in this photograph, though it's cropped too tightly to know for certain. 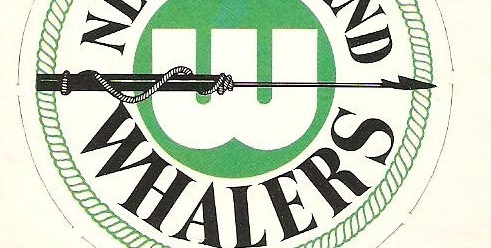 I don't know much about Charlie Moore, but I found a couple of interesting stats while researching for this post. He was the last man batted in by the legendary Hank Aaron, in 1976. 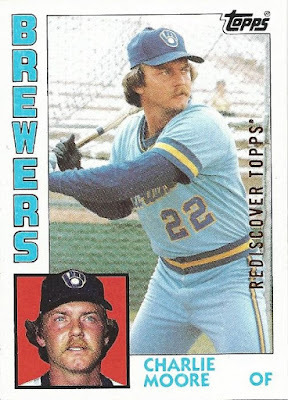 He also hit for the cycle in 1980, and swiped two bags in that same game. That's a heck of a day right there. 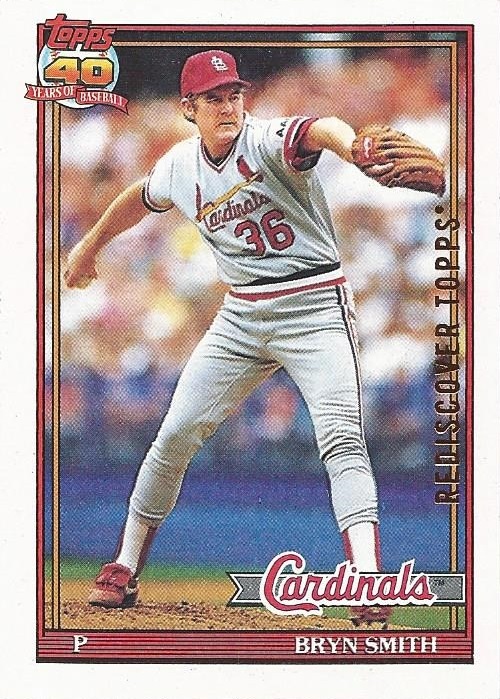 Next up is another '91, featuring Bryn Smith in the midst of an awkward-looking delivery from the stretch. Bryn apparently likes Doritos, as well as ice in his Coke. Yet another number here that was previously missing from the franken-set, I told you Kin did his homework! Score! Nothing makes my day like a new 1990 Topps buyback (and yes I realize I'm probably the only collector on the planet who would make that statement). 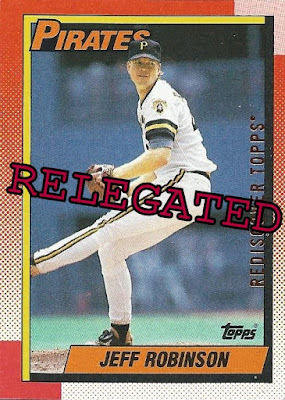 It's funny, now that I've jumped off the ledge in terms of attempting a '90 Topps buyback set, I almost root for these to lose out when it comes to franken-set induction. 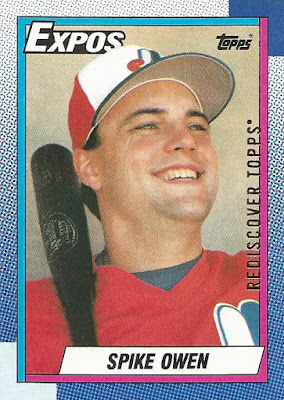 ...so that works out kind of nicely, and Jeff Robinson is now residing in the '90 Topps buyback binder. 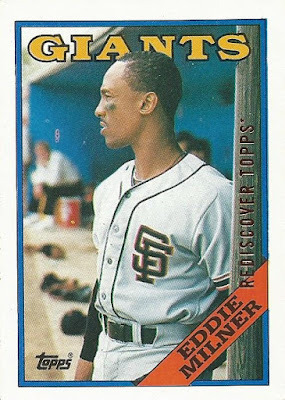 Here's an interesting dugout shot of Eddie Milner. Sure looks like it was a mess in there, with what appears to be the tools of ignorance scattered about in the background. It's interesting to me how the Rediscover Topps stamp fits nicely over the wooden frame of the dugout on the right edge of the card there. 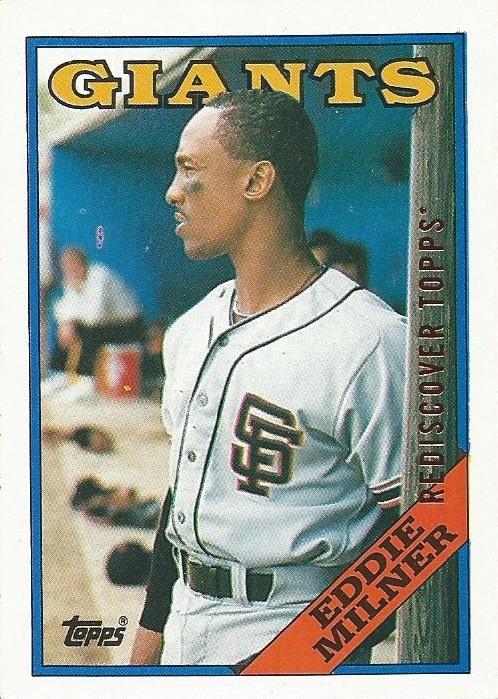 Eddie makes the binder uncontested. 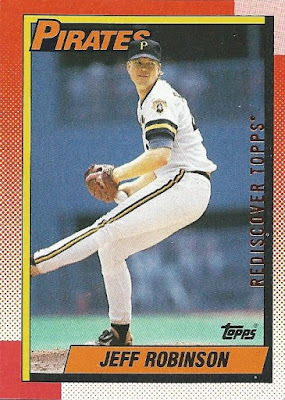 Not one, but two 1990 buybacks in this post! I think my facial expression matched Spike Owen's here when I found this unexpected bubble mailer in my mailbox and thumbed through it. 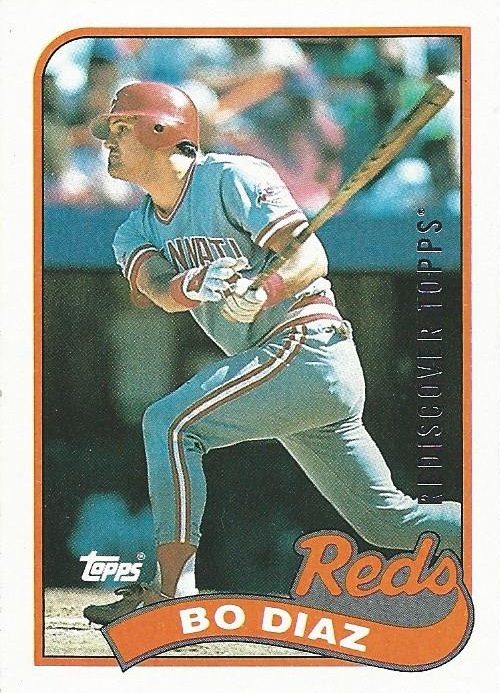 Spike set what was then an NL record 63 consecutive errorless games at shortstop in 1990 (since broken). 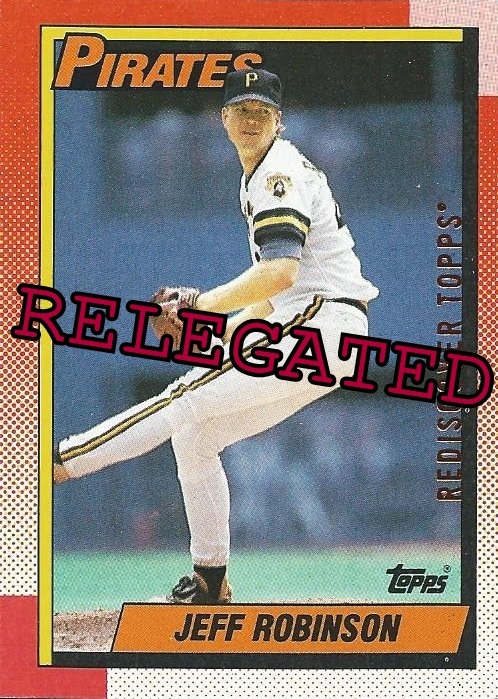 I did not have a #674 buyback before this one, so Owen is a resident in the franken-set binder for now. 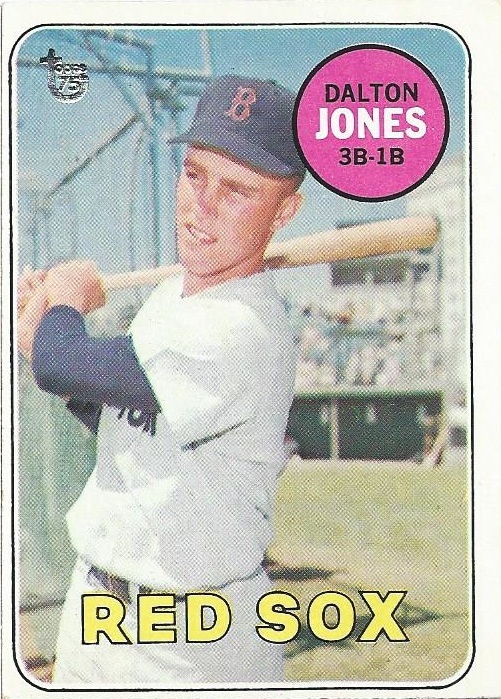 Speaking of shortstops, our next subject lasted well over a decade at the position. 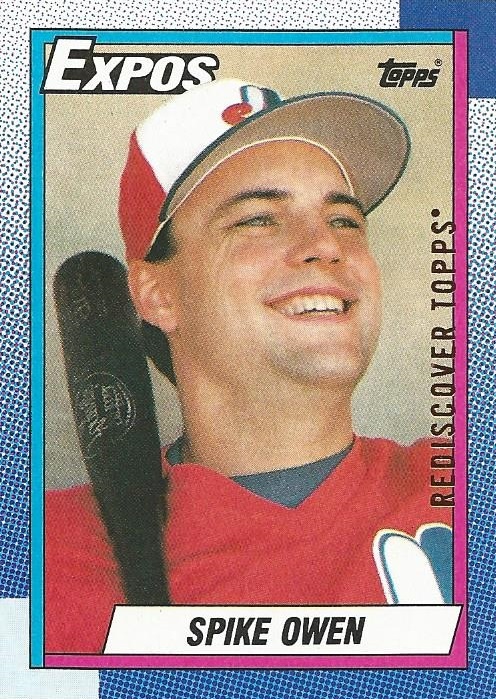 1989 was actually Craig Reynolds' final season in Major League Baseball. He earned two career All-Star selections, in 1978 and 1979. A nice enough buyback to hold down slot #428 for now. 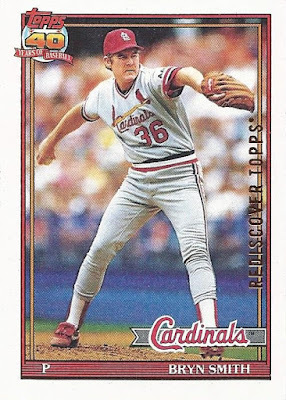 Two consecutive '89s, and both featuring players who finished their careers that season, what are the odds of that? 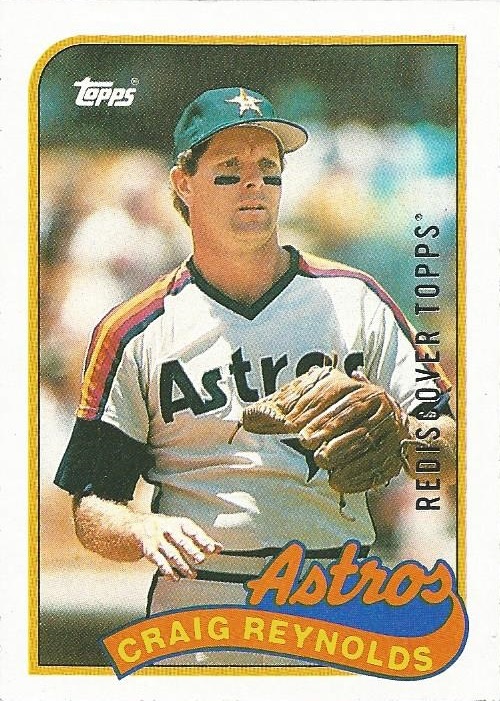 Like Craig Reynolds, Bo was a two-time All-Star as well (1981 and 1987). I somehow never realized until today (or forgot if I did) that Bo actually made his MLB debut with the Red Sox. He played just two games as a late-season call-up for Boston in 1977 before moving on to the Indians, Phillies and Reds to finish his career. ...it completes a page! This becomes the third completed page in the binder to date. It's a great example of the variety that's packed into my franken-set too, with cards ranging from 1958 all the way up through 2014. 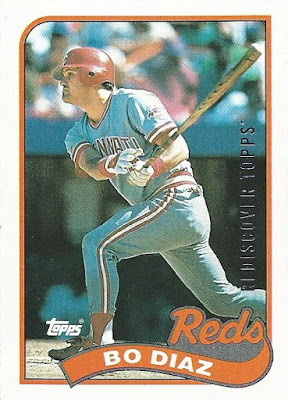 The star of the show for me personally has to be the '87 Will Clark, a card I absolutely adored as a kid collector. ...but at the end of the day I decided to keep the '69 over the '78. 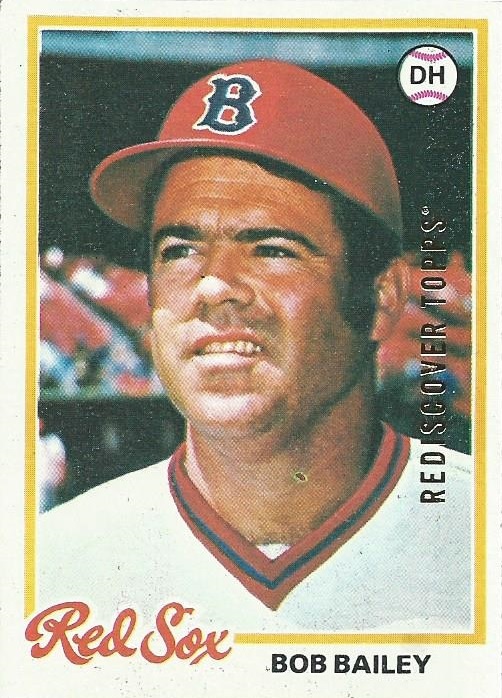 Not a problem though, as Bob Bailey makes for a very nice addition to my always-growing Boston Red Sox collection. Congratulations on completing a page! A completed page is a beautiful thing.